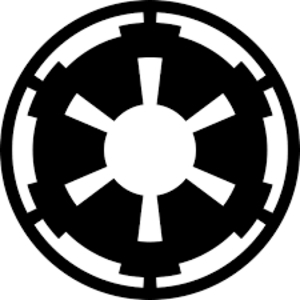 (April 11, 2019, Coruscant) — Officials of the Galactic Empire’s Imperial Security Bureau (ISB) announced today they have intercepted transmissions regarding a treasonous recruiting drive by the so-called Alliance To Restore the Republic. The rebel gathering is set to take place on Earth at a spaceport known as PeoplesBank Park on Saturday, May 11. ISB Colonel Wullf Yularen told holonet correspondents that Imperial probe droids surveilling PeoplesBank Park recorded announcements of a costume contest, “costume character appearances,” and a giveaway of “free Star Wars books” at the venue’s gates. Asked if dispatching local Stormtrooper garrisons to monitor the gathering would be too severe, Lord Vader declined to answer. The reporter asking then mysteriously clutched at his throat, collapsed to the floor, and appeared to pass out. Imperial officials warn all citizens loyal to Emperor Sheev Palpatine to NOT pursue tickets to this illegal “Star Wars Night presented by PA Virtual Charter School” at www.yorkrevolution.com or by calling (717) 801-HITS.